Yeah, the Geer and Foster station has been a bit of a sore spot for me as well. A great spot and a neat little building for an assortment of businesses. And that gas station has got to be one of the busiest if not the busiest in this town. To anyone that is curious, in the earliest photo of the Granite Service Station shown here, the station is selling Esso products. Its not obvious, as this was not a company controlled site with the image package, but appears to have been locally owned. That photo was taken between 1937 and 1940. As early as 1932, this location was listed as "Granite Service Station #1", with Station #2 located at 2001 Hillsborough in 1934 only. In this same post but in the later photo, circa 1950, the station displays Texaco signage, so the operator of the station had changed brands. I show this structure as having been replaced by a traditional "icebox" Gulf station in the mid-1950s. I think it appeared in the background of a photo in a post several weeks ago. It is likely that the site has remained under Gulf and successor BP brand ever since that time. Some years ago M.M. 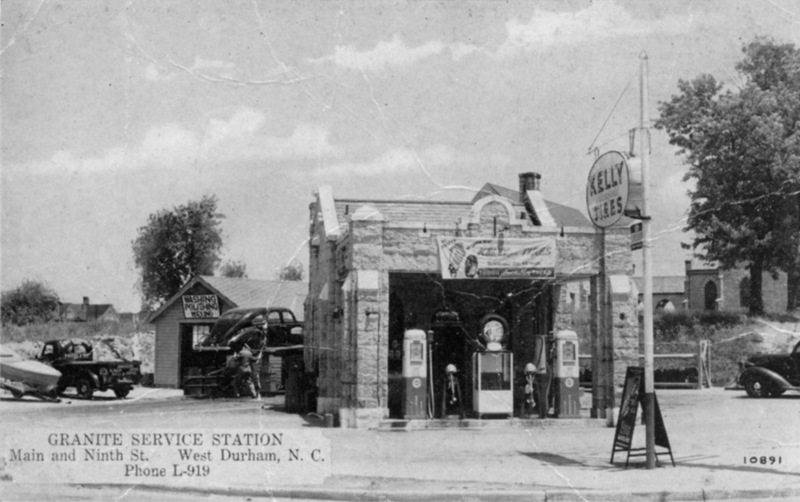 Fowler, Gulf and later BP distributor in Durham, began conversion of conventional stations to convenience stores. The final photo shows the latest incarnation, re-oriented to Main St., and displaying Fowler's "Family Fare" brand. I found the Family Fare website and the way to contact them: http://familyfareconveniencestores.com/Contact/Contact.aspx It is incredible how many stores they have, so the 3 abandoned sites are probably inconsequential to them. But you can contact them at the above link. Perhaps, if a lot of people swamped their website, they might consider selling the abandoned properties to those who want to refurbish them. That's my nickel's worth. Does anyone know when the Erwin Road railway underpass at the end of Ninth Street was dug? They probably should have dug it a little deeper considering all the trucks that have hit it or become stuck under it over the years. Yep, gotta let the air out of those tires, if we gonna get this truck out from under the bridge! Per the Old West Durham website, Reuben Hibberd, a local florist and lay preacher, began holding cottage prayer meetings and "Sunday Sings" in West Durham homes in 1893. Hibberd would often bring a small portable organ with him. 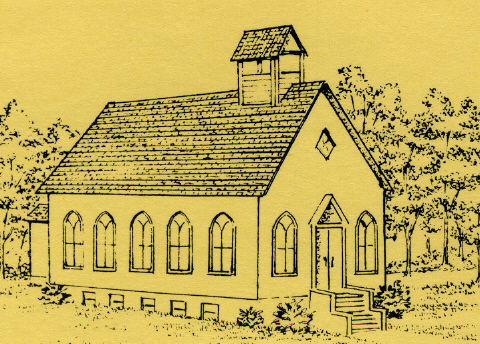 As interest increased in Hibberd's meetings, the Sunday School was moved to a grandstand in the nearby Erwin Ballfield. During an 1894 revival in the grandstand, the West Durham Methodist Church was chartered. In 1896, Ben Duke donated land to the west of the Erwin Ballfield, at the corner of Main St. and 9th St., across from the Erwin company store. A small wood frame chapel was built on the site, facing 9th Street. West Durham Methodist chapel, 1896. 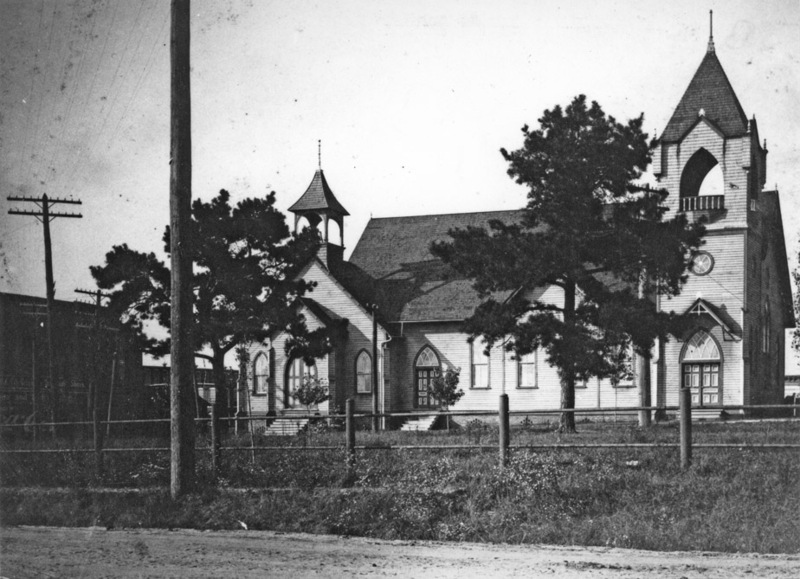 By 1907, a larger frame church structure had been added to the south of the original chapel. West Durham Methodist Episcopal Church, looking northwest from West Main St. near the corner of West Main and 9th St., 1907. You can see the company store and Erwin Mill in the background. In 1927, the church moved to West Markham Avenue, where it would change its name to Asbury Methodist in 1944. The original Methodist church was torn down, and the Granite Service Station was built on a small corner of the original church site. Granite Service Station, with St. Joseph's in the background, likely 1940s. 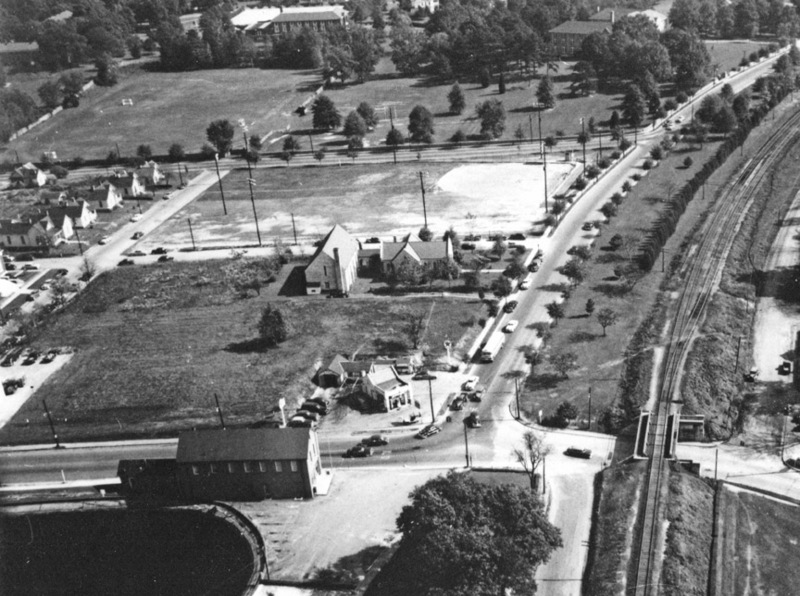 Bird's Eye view of the Granite Service Station, looking east, ~1950 with St. Joseph's and the Erwin Ballfield in the background. In the mid-1950s, the original service station was torn down and replaced by a 'modern' service station, which I believe was a Gulf station. An additional commercial structure (now a Kinko's) was built to the north of the gas station, on the remainder of the former church site around 1959; it originally was a Glidden Paint Company store. Several years ago, the gas station became a Family Fare BP/Amoco/whatever - part of the MM Fowler Family Fare Durham gas empire, which owns three of my favorite neglected historic structures: Catsburg, the Old Gulf Station at Geer and Foster, and the fantastic old service station at Angier and Guthrie. It's something I certainly think about when running low on gas.